May 8, 2017: The Commonwealth Club of California has awarded Jordan Fisher Smith’s Engineering Eden the Silver Medal for nonfiction in the 2017 California Book Awards. The Commonwealth Club is the nation’s oldest and largest public affairs forum, bringing over 400 annual events on topics ranging across politics, culture, society and the economy to more than 20,000 members. 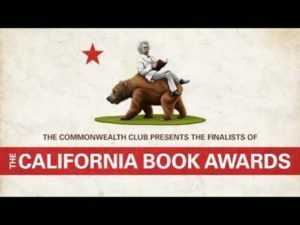 The club’s California Book Awards strive to annually recognize the state’s best writers and illuminate the wealth and diversity of California-based literature. The award ceremony will take place at June 12 at 6:00 PM, at the Commonwealth Club 555 Post Street, San Francisco. The program will be followed by a book signing at 7:15. For further information and tickets, click here. Listen here to a podcast of Jordan and author John Hart in conversation with host Greg Dalton in a broadcast from the Commonwealth Club in July of 2016.